Robert "Bob" Digmann, age 87, of Ames and formerly of Boone, died Tuesday, February 5, 2019 at the Mary Greeley Medical Center in Ames. Per his wishes, Bob has been cremated. A Memorial Mass will be Saturday, February 9, 2019 at 11:00 a.m., at the Church of the Sacred Heart in Boone. Burial of his cremains will be in the Sacred Heart Cemetery with Military Honors conducted by the Boone Veterans Council. Friends may call at the Church on Saturday, from 10:00 a.m. until service time. Robert John Digmann, was born in Dyersville, Iowa on March 1, 1931, the son of Henry and Aileen (Cavanaugh) Digmann. He graduated from St. Paul’s High School in Worthington, Iowa and continued his education at Bayless Business College in Dubuque, Iowa. He was drafted into the United States Marine Corps, and served his county honorably until his discharge in 1954. On September 27, 1952, Bob married Norma Jean Friedman at Holy Trinity Catholic Church in Luxemburg, Iowa. 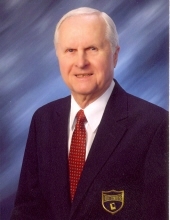 Bob was an Insurance agent in Boone for Life Investors, later Aegon, and now, Transamerica Financial, for over 50 years. In his younger years, he was a skilled baseball relief pitcher and was invited to try out for the Chicago Cubs. Later in life he enjoyed traveling with Jean, was an avid golfer, and was a member of the Boone Golf and Country Club, where he accomplished a hole in one on the 4th hole. He was also a member of the Marine Corps League and St. Cecilia’s Catholic Church in Ames. He is preceded in death by his parents; a son, Jeffrey John Digmann and seven siblings, Dorothy, Grace, Jim, Dale, Dave, Kenny and Morris. Bob is survived by his wife, Jean of Ames; four children, Brad Digmann of Denver, Colorado, Jane Kline of Acton, Massachusetts and Barbara Digmann of San Francisco, California and Jon Digmann of New Orleans, Louisiana; five grandchildren; one great-grandchild; sister, Nancy Besler of Farley; a sister-in-law, Judith Digmann of Worthington. In memory of Bob, memorials may be directed to the family. To send flowers or a remembrance gift to the family of Robert "Bob" Digmann, please visit our Tribute Store. "Email Address" would like to share the life celebration of Robert "Bob" Digmann. Click on the "link" to go to share a favorite memory or leave a condolence message for the family.